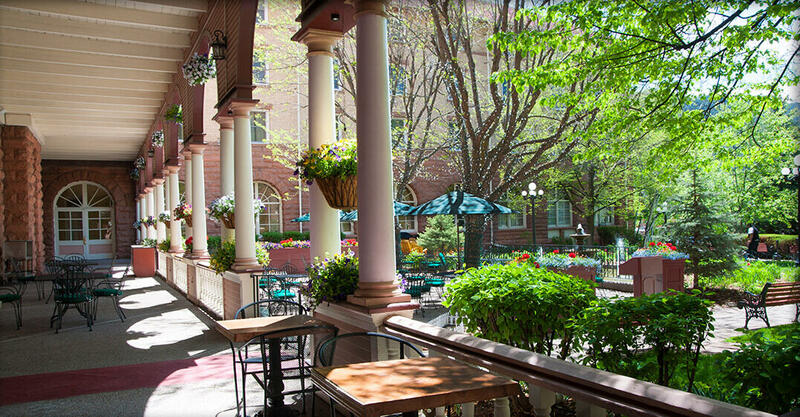 Come delight in our famous property, well-appointed rooms, fine dining, and Glenwood Springs' local attractions. If you’re looking for the perfect Colorado destination, you’ve found it. Hotel Colorado has been delighting guests with its legendary hospitality since 1893, and we can’t wait to welcome you. Our hotel is located right in downtown Glenwood Springs, mere steps from Glenwood Hot Springs. Guests love our proximity to Iron Mountain Hot Springs, Yampah Spa, and Glenwood Caverns Adventure Park, all surrounded by the vast and beautiful White River National Forest. The area is rich with outdoor recreation opportunities, with stunning hiking and mountain biking experiences, skiing and snowboarding at Aspen/Snowmass, white-water rafting in Glenwood Canyon, and world-class fishing on the Roaring Forks River. Whether you need a quick bite or desire a world-class fine dining experience, our historic hotel has the perfect dining option to suit your needs. Enjoy a multi-course meal at Baron’s prepared by our award-winning chef, fuel up for adventure with quick bites and coffee at Legend’s Espresso Bar, or relax and unwind after a long day of exploring with curated cocktails, local craft beer, and tapas at the Polo Lounge. 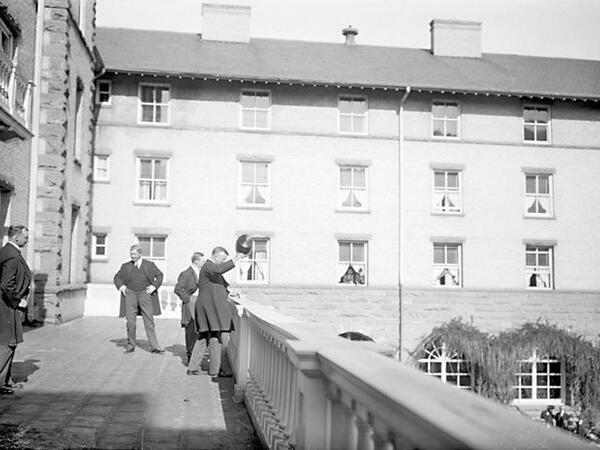 Through our long history, Hotel Colorado has played host to such historical figures as Teddy Roosevelt, William Taft, and the “Unsinkable” Molly Brown. Today, our guests range from world travelers exploring the Rocky Mountains to locals looking for an escape from the quotidian. Hikers, skiers, mountain bikers, couples, wedding guests, travelers, and more have called Hotel Colorado home for a night, a weekend, or an extended stay. 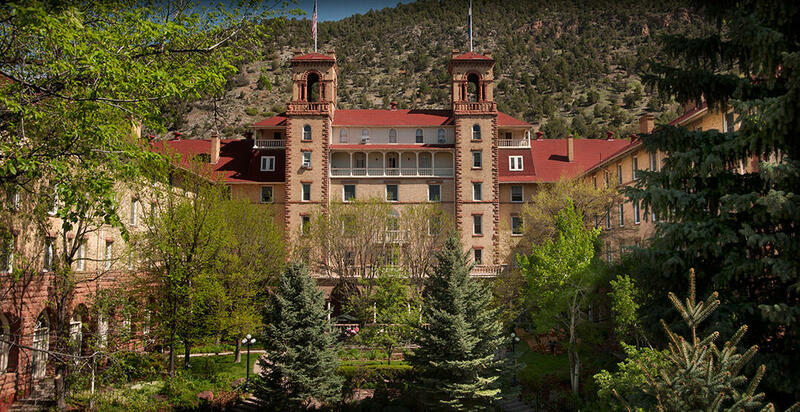 Whatever your reasons for making Hotel Colorado your destination, you’ll surely delight in all that our historic hotel and Glenwood Springs have to offer. Weddings at Hotel Colorado are world-class affairs, and we take great pride in delighting each and every couple with our enchanting, all-inclusive packages. Christmas at Hotel Colorado is not to be missed. The Friday after Thanksgiving marks the start of the festivities, with more than one million lights festooning our historic hotel and Christmas cheer around every corner. Copyright 2019 Hotel Colorado. All rights reserved.